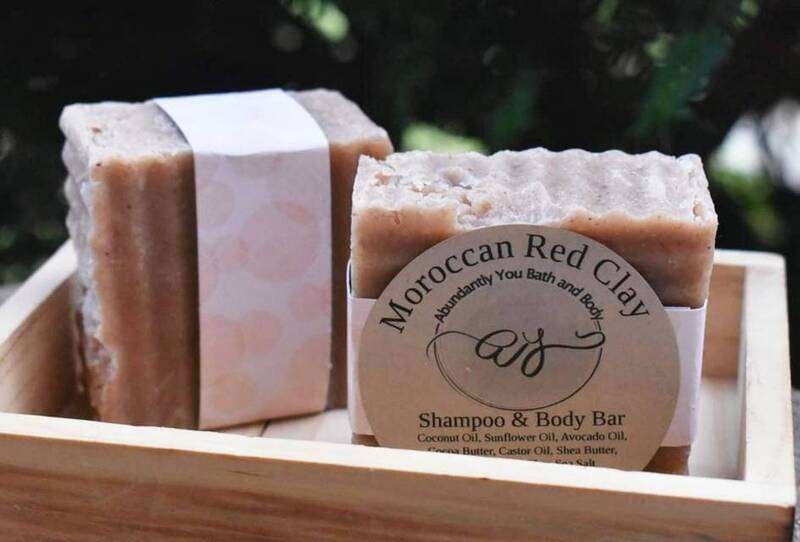 Moroccan red clay is effective in cleansing and detoxifying hair and skin. It is suitable for dry, normal, oily, and acne-prone skin. 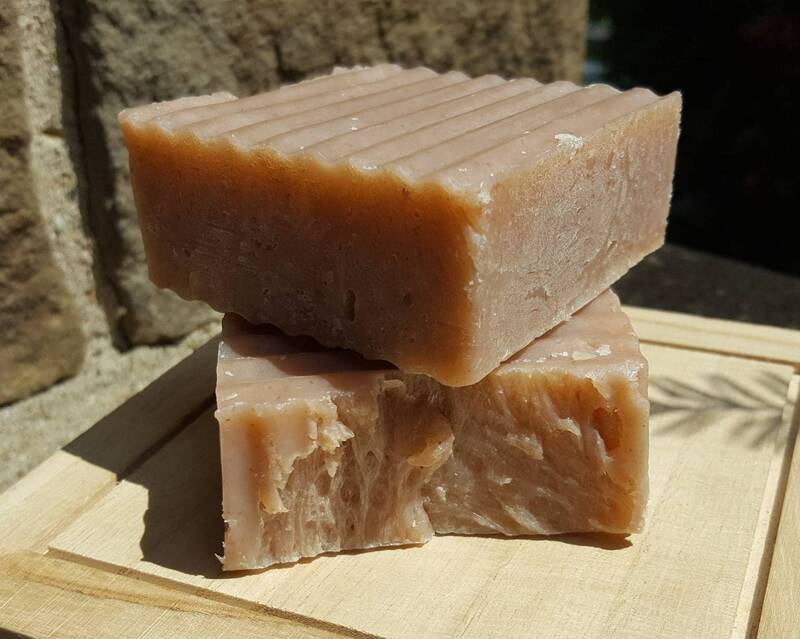 Blended with moisturizing oils and shea butter, this vegan soap and shampoo bar is an optimum natural choice. This 2-in-1 soap bar makes the perfect gift for her or him. Fragrance options are rosemary/lavender blend or fragrance-free. Using a shampoo bar is efficient and easy. Gently massage the shampoo bar at the roots of your hair. As you rinse, the lather will flow down your tresses and cleanse the hair. To maintain healthy hair, follow your natural shampoo bar experience with a conditioner. Apple cider vinegar rinses are our personal favorites. This soap and shampoo bar lathers effortlessly. The cocoa butter and shea butter offer a moisturizing bath experience. 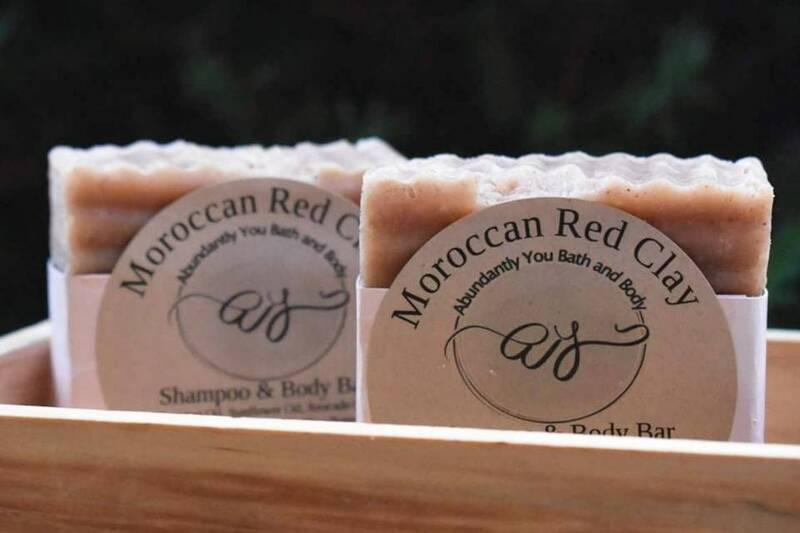 To extend the life of your Moroccan red clay bar, keep dry between showers. Use the bar externally. Avoid eye area. Each soap bar is approximately 4 ounces in weight. Ingredients include Coconut Oil, Sunflower Oil, Avocado Oil, Cocoa Butter, Castor Oil, Shea Butter, Moroccan Red Clay, DL Panthenol, and a small amount of sea salt to create a firm soap bar. Note ingredients listing to prevent possible allergic reactions. It is one of my top favorites!